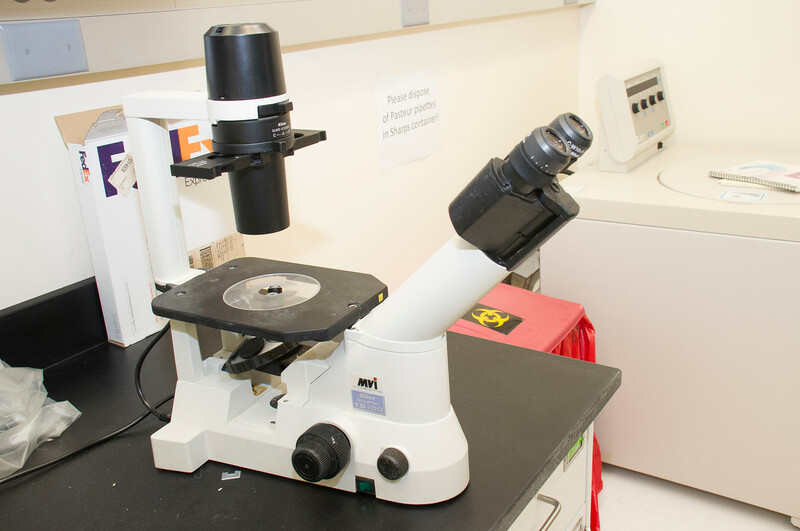 The Tissue core has three Nikon Eclipse TS100 inverted microscopes, one Leica MZ16FA fluorescent dissecting microscope, an Evos Fl cell imaging microscope and a MMI Cellcut laser capture microdissection system attached to a Nikon Eclipse TE2000S microscope. 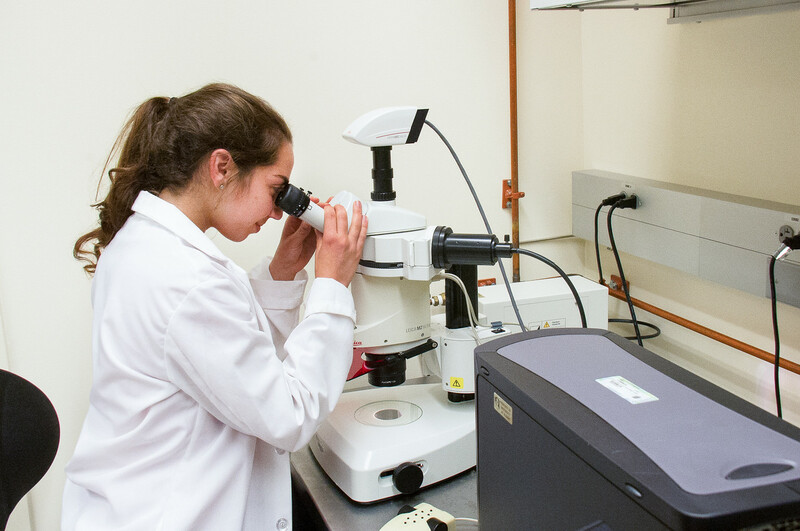 Microscopes are used to visualize, analyze, document and manipulate cells at magnifications much greater than that observed under normal vision. 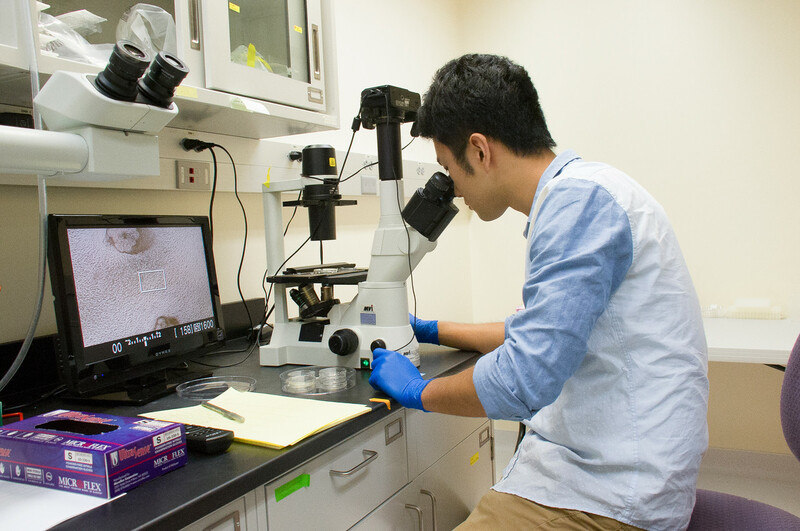 Fluorescent microscopes allow researchers to identify specific cell types and locations of cells labeled with specific fluorophores. 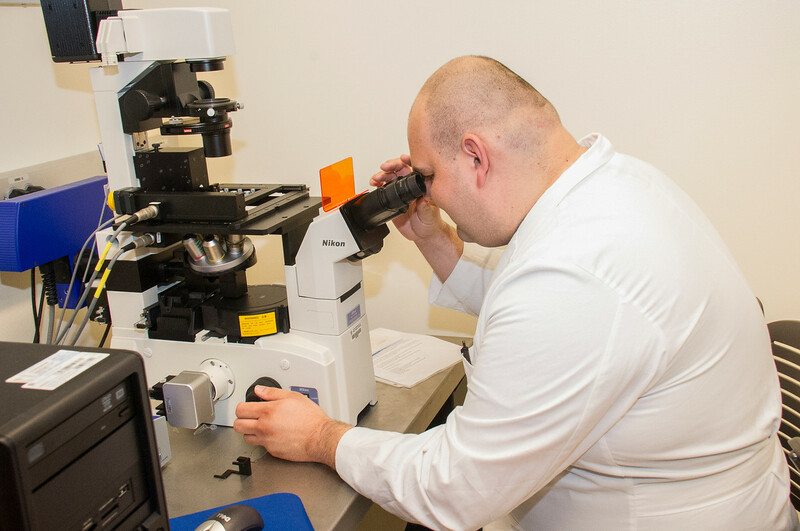 Laser capture microdissection allows one to cut, remove and isolate target cells for further study without interference from other cells. 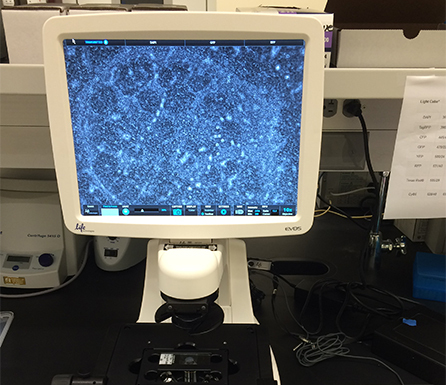 The TS100 inverted microscopes are equipped with 10x eyepieces and 10x, 20x and 40x objectives. The LeicaMZ16FA has a 10x eyepiece and 1x objective with a motorized zoom range of 7.1x to 115x. Images can be seen through the eyepiece or transferred to a computer monitor. There are three fluorescent filter sets used with the excitation/emission wavelengths 360 nm/420 nm, 480 nm/510 nm and 545 nm/620 nm. 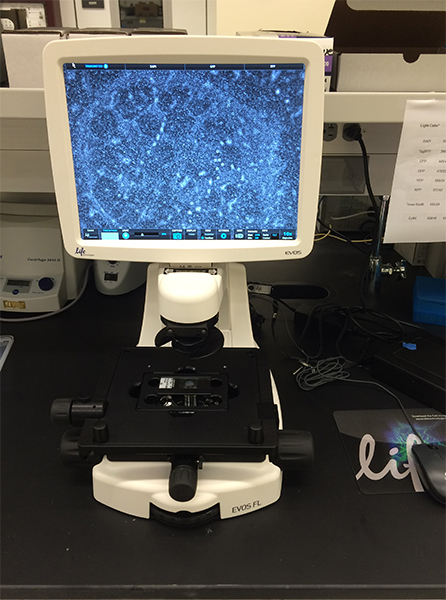 The Evos FL cell imaging microscope uses either transmitted light or fluorescence to visualize live or fixed cells in culture plates, 96 well plates or slides. It is equipped with 2x, 4x, 10x, 20x, and 40x objectives. There are six fluorescent filter sets used with the excitation/emission wavelengths 357 nm/447 nm, 445 nm/510 nm, 470 nm/510 nm, 500 nm/524 nm, 531 nm/593 nm, 585 nm/624 nm and 628 nm/692 nm. The Nikon TE2000S microscope uses a either a 10x eyepiece or computer monitor to visualize images from 4x, 10x, 20x, 40x or 100x objectives. There are three fluorescent filter sets used with the excitation/emission wavelengths 360 nm/460 nm, 470 nm/522 nm and 560 nm/640 nm.